Robert P. Barnidge Jr, Oxford and Portland: Hart, 2016, pp. 238. 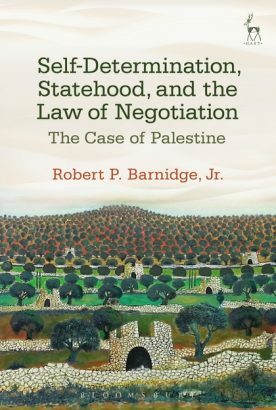 Robert Barnidge’s important book seeks to persuade us to view the Palestinian-Israeli conflict through the prism of what he calls the ‘law of negotiation.’ The volume offers an analysis of the conflict through a rigorous application of international legal sources from the British Mandate to the present day and is a major contribution to the analysis of the role of international law in the conflict. International legal scholars and practitioners will be intrigued by his innovative narrative that builds a case that the jurisprudence of the International Court of Justice and its predecessor, the Permanent Court of International Justice, provide the basis for a law of negotiations based on the principle of ‘good faith’ (chapters 3 and 5). The general reader will be particularly interested in his approach to Oslo Accords and the subsequent episodic peace process (chapter 6). He argues, for example, that the Palestinian diplomatic initiative at the UN in 2011 and 2012, which ended with Palestine being recognised as a ‘non-member state’, was breach of the Palestinian duty to negotiate with Israel ‘in a meaningful sense’ (p 168.). It is the case that in the UN age there is an obligation to resolve disputes peacefully, as article 33 of the Charter says, ‘by negotiation, enquiry, mediation, conciliation, arbitration, judicial settlement, resort to regional agencies or arrangements, or other peaceful means of their own choice.’ As the title of his book indicates the key legal doctrine that applies to the conflict is the law of self-determination. In the case of Palestine and Israel there is no doubt that the international community accorded both Jews and Arabs in Palestine the right to self-determination since the adoption of the General Assembly resolution 181 (II) in 1947, which partitioned the country into two states. As we know, Palestinian Jews accepted the resolution and the Palestinian Arabs rejected it. However, times have changed and the Oslo Accords, 1993-5, seemed to bring at least a pragmatic acceptance of partition by the PLO, especially through the letter signed by Chairman Arafat that recognised the State of Israel. The Oslo process established a five-year timeframe to resolve all the issues of the conflict. The end date was 4 May 1999. However, Barnidge argues that both sides are still bound by the decision to negotiate. Not all readers, now nearly 20 years after the deadline has passed, will be convinced of this contention. Barnidge helps us to think through two rather critical questions. The first is the unequal legal relationship. The Oslo Accords were signed by Israel, a sovereign state, and the Palestinian Liberation organisation, which was not. Barnidge appears to argue that the degree of legal personality that the PLO had been accorded – such as observer status at the UN – means that there is a level playing field (see pages 78-144). While it is true that the PLO acquired a degree of legal personality it does not possess the features of a state. That is important given the great weight that Barnidge places on the jurisprudence of international courts and relevant articles of the UN Charter, as these sources refer to states exclusively. States are the only complete form of legal personality in the international legal system as the International Court of Justice made clear in the Reparations Case in 1949. The PLO was thus not merely at a political and strategic disadvantage, but at a legal one as well. This is important as the reason states are bound by international law is due to the fact that through their sovereign will they assent to the legal obligations of the international order. The PLO has not been in a position to do that. Every State has the duty to refrain from any forcible action which deprives peoples …of the present principle of their right to self-determination and freedom and independence. In their actions against, and resistance to, such forcible action in pursuit of the exercise of their right to self-determination, such peoples are entitled to seek and to receive support in accordance with the purposes and principles of the Charter. Taking together the text of the Accords and the general law on self-determination the negotiations are thus not about whether the principle of self-determination will be applied as much as how and when. We should see Oslo as providing modalities towards that end. That certainly was way in which many supporters of the agreements thought of them. In other words, the entire logic of Oslo was essentially a negotiation about achieving the end of the occupation and self-determination for the Palestinian people alongside the State of Israel. Those of us who were in Palestine and Israel at the time of Oslo felt the dramatic change of atmosphere and the great opportunities for peace which seemed to be at hand. One of the obstacles that we did not fully appreciate was that the legal narratives of each side reinforced historical narratives to such an extent that each side thought they alone were making compromises. 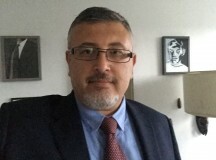 As Raja Shehadeh noted at the time, a key task was to create a sovereign legal consciousness that could overcome conflicting Israeli and Palestinian narratives. In this we failed disastrously. The pragmatic recognition of Israel by the PLO had not expunged the Palestinian legal narrative which essential portrayed the Jewish state as illegitimately created. While giving a presentation to the PLO Negotiations Unit in 2003 on legal arguments to make at the International Court of Justice in the case on the wall in the West Bank, I realised this difficulty. In my view the strongest argument on the wall’s illegality stemmed from Israel’s use of the Palestinian land as if it was their own territory contrary to the doctrine of self-determination. However, that argument only worked if you accepted Israel’s legitimacy. This provoked a certain frisson in the room. Barnidge is quite right to point out that there are breaches of ‘good faith,’ but they have been on both sides. When Mahmoud Abbas went to the UN in 2011 and 2012 it was out of desperation that all else seemed to have failed. Nor was this a breach of the obligation to resolve conflicts by peaceful means. In reality, recognition of the ‘State of Palestine’ is largely symbolic. What is less symbolic is persistence of the Palestinian legal narrative which continues to refer to the ‘occupation’ beginning in 1948. Had Israeli governments been as energetic in pursuing a two-state solution as they have in building settlements in the West Bank, such views could have been neutralised. Instead, in 2018 we are in caught up in a revival of existential issues in the conflict. Unfortunately, international law cannot extricate us from this situation. All too often over the course of the past 100 years law has been a site of conflict rather than of resolution. Each side strongly believes that international law endows them with a monopoly of justice. The book’s discussion of the right to self-determination raises many issues about the scope of the doctrine especially as applied to the Palestinian Arabs (see pages 7-42) Barnidge makes much of the fact that Arab opponents of the UN partition plan in 1947 often referred to the Palestinian Arabs part of the larger Arab world and Palestinian territory being essentially part of Syria since Ottoman times. However, the legal doctrine of self-determination as it has evolved subsequently pays little attention to sociological or historical factors and talks enigmatically of ‘peoples’ not nations. At the time of the partition plan, the doctrine of self-determination was far from settled – that was to evolve in the 1960s and 1970s. It is the UN General Assembly resolution 181 (II) of November 29, 1947 that seals the international recognition of two peoples in Palestine with the right to form their own state. In other words, Palestinian Arabs and Jews did not need to wait for the evolution of the doctrine but are the first peoples that the UN recognised had the right to self-determination. In the wake of the failures of the Oslo negotiations there has been much talk about whether the Palestinians might accept less than a fully independent state – a state minus. 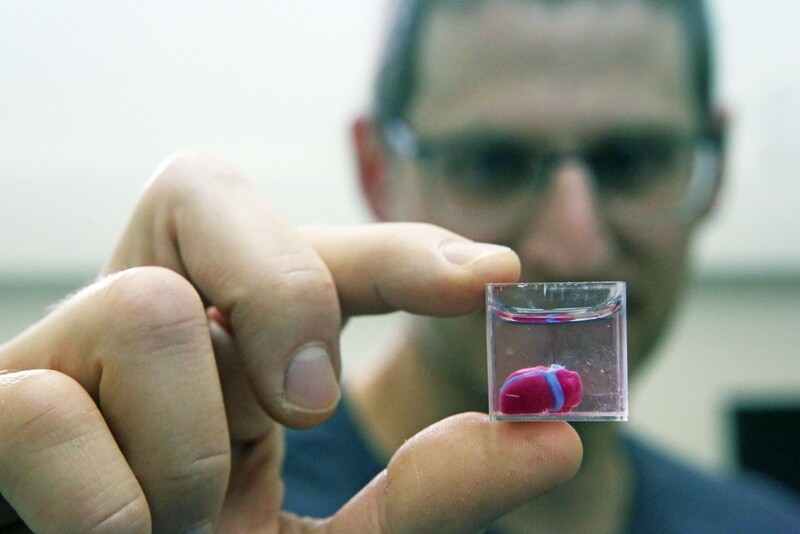 However, that option is not in the gift of the Israelis in 2018. The opinion of the International Court of Justice on the wall in 2004 confirms that the right of the Palestinians to self-determination is not in doubt. While the Palestinians could chose to exercise self-determination in an arrangement less than a sovereign state, that choice is theirs alone. While a ‘state minus’ might form part transitional deal there is a no evidence at all that this would be acceptable permanent solution. Barnidge’s thought-provoking book demonstrates that even the most intricate and imaginative legal argument is no substitute for political will. 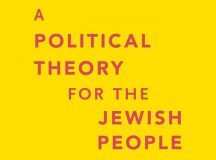 What is needed today is not a deepening of the legal trenches but a new open politics which can embrace the narratives of two peoples who live so intimately on the same land. International law can make a contribution in a healthy political environment such as that created by Anwar Sadat’s dramatic visit to Jerusalem in 1977 that helped pave the way for the Camp David Treaty. It is that kind of brave politics that is required today. Ironically it is only politics that can open the way to the sovereign legal consciousness that Shehadeh spoke so eloquently of. 2. The Latin word, Palaestina, was coined by Emperor Hadrian in 135. He wanted to humiliate & punish the Jews for the Bar Kokhba Revolt. Hadrian took the Hebrew for Philistine, Latin-ised it to make Palaestina & renamed the geographical areas of JUDEA (where the word Jew comes from) & SAMARIA, to Palaestina/Palestine. The fact the British & others refer to Palestine does not legitimise the existence of Arab sovereignty or “Palestinian Arab” land in what is Judea & Samaria. 3. Dr Jacques Gauthier, a French-Canadian international lawyer, spent over 20 years researching who has legal title to Jerusalem & therefore Judea. Based solely on international law, Dr Gauthier concludes that ONLY the Jewish people have legal title. It is interesting how Dr Gauthier’s seminal work is rarely referred to when discussing this issue. All other peoples have been foreign occupiers and this includes the Arabs who, having slaughtered the 3 Arab tribes in Arabia, invaded, occupied & colonised the Middle East. 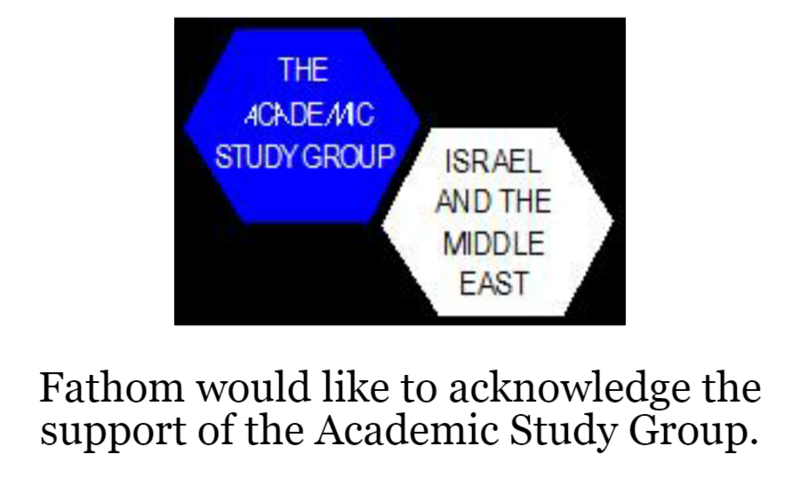 They subjugated the Jews, making them inferior “dhimmis.” Their supersessionalism can be seen by the Dome of the Rock & al-Aksa mosque, built atop the Temple Mount, which the Arabs – and it seems the Europeans at the UN, regard as solely Muslim, so too the Tombs of the Patriarchs, Matriarchs, Jospeh & Rachel – even the Western Wall is regarded as Muslim. At the UN, the obsessive focus on Israel results in the deliberate falsification of history – writing the Jews out of the Middle East – and creating a false Palestinian-Arab narrative. 5. Thus, the creation of an Arab-Palestinian entity, post 1964, is solely to destroy any Jewish presence. The Palestinian-Arabs are the only group who have consistently rejected a state. Having rejected the 1937 Peel Partition & the 1947 UNGA Partition Plan, the Arab League’s secretary-general, Azzam Pasha, promised it would be “a war of extermination and a momentous massacre which will be spoken of like the Mongolian massacres and the Crusades.” 7 Arab armies illegally invaded the nascent state with the intention of destroying it & killing 600,000 Jews. 6. Contrary to the claims that the PLO have recognised the Jewish state, that is false. They recognise the existence of state called Israel but that it will be destroyed. Jewish self-determination is rejected because of the fundamentalist belief that the whole of the Middle East is Muslim! Claiming that Jews are foreign colonialists is supported by many in Europe. Anything that denies Jewish historical ties is seized upon, as exemplified by the recent 6 anti-Israel Resolutions at the UN & UNESCO’s Resolutions earlier this year. Using this logic, the Spanish are foreign colonialists since they expelled the Arabs after 1492. 6. The Jewish Home was reduced to 22% when Britain took 78% of land, set aside in international law for the Jewish home, to create what became the Hashemite Kingdom of Jordan. The Hashemites are a tribe/clan from Arabia. 21 Arab states occupying 99.4% of the Middle East is still not good enough for either the Arabs or the West, especially Europe. 7. 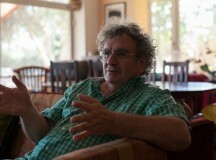 Unless Dr Jacques Gauthier’s work can be disproved – which I doubt it can, since the University of Geneva awarded him his Ph.D on his work, then anything else is merely another attempt to single out the Jewish state & to deny the Jewish People’s right to live in peace in :PART of their ancestral home, from which we have been expelled by numerous foreign colonialists. Sadly, the ICC is another useless organisation that has failed to uphold the principles set out when the UN was founded. The ICC, like the UN, doesn’t go after the British trained ophthalmologist, al-Assad, who has butchered 500,000 Syrians, but instead, a tiny Jewish state surrounded by Arab states & terrorist organisations, whose single purpose is to destroy, while leaving their people impoverished & filled with antisemitism. The UN Charter does not give the UN the authority to create (or dismantle) states. Why would the Palestinians be at a “legal disadvantage” because they are not a state? You write: “…the reason states are bound by international law is due to the fact that through their sovereign will they assent to the legal obligations of the international order. The PLO has not been in a position to do that.” Not only that— The legally unbound PLO proved eager to disavow the promises it made in Oslo (if these were not obligations) and has since weaponized whatever legalism it can exploit against Israel in the international arena, precisely because Israel is a state. Regardless, every sane person on this planet understands that the conflict will be resolved (or not) between the two parties themselves, not through the imposition of one or another’s view of international law.